Choosing YouTube or Vimeo for your Video Marketing: Which to choose? Many businesses and video creators are looking to use video for their online marketing efforts. Video is being seen as the future of content marketing, and rightly so. It offers you the chance to make deeper personal connections via a human face and voice, rather than plain text. There are two players in the video marketing world: YouTube, and Vimeo. Discovering which platform is right for you, or which strengths you should focus on when you use both, will determine your success. This aspect of their video uploading process makes your videos look cleaner and sharper, while still using less bandwidth when your viewers stream it. Your viewers will enjoy a smoother streaming process with this lower bandwidth need. This can come in quite handy when you want to film and upload in full HD. Filmmakers love Vimeo for this. This lets your viewers know right away that they’re watching YOUR content as there are no other logos in sight. The analytics package offered with a Vimeo Pro account is the best that is available in the video marketing world. The most recent update that they have done makes it even easier to understand, allowing you to access data that you can really take action on. With your ability to disable in-video ads on a paid account, viewers feel more like they’re tuning into a favorite channel – not being advertised to. This creates a tight-knit community of people who appreciate your content. Your channel is not just the best looking video that was displayed thanks to a search algorithm. You’re someone they trust. Vimeo has a monthly unique viewership of around 100 million, not a bad number, but there’s another competitor in the video marketing world. YouTube has climbed over the 1 billion monthly unique viewers number. If you feel that you can find an audience in those 100 million then you are in luck. For sheer numbers, YouTube is the winner in this category. Vimeo’s most useful features are with paid accounts. This allows Vimeo to be higher quality as no one with a LOLcat video wants to pay for exposure. Also, if you’re a business you have to register as a paid account. 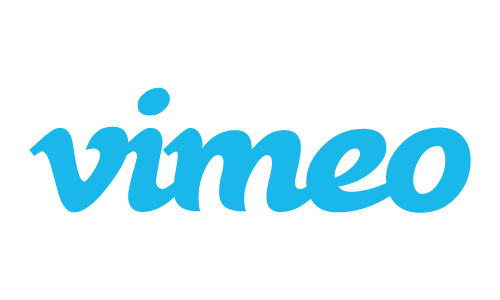 The mid-level Pro account from Vimeo costs $199/year, and gives you up to 1000GB of storage space per year. That’s a fair amount of storage, but YouTube’s current cap is…no cap, and it’s free. YouTube’s 1 billion unique visitors per month is a statistic that is impossible to ignore. Video marketers all over like to focus right in on this fact because somewhere in those 1 billion visitors is their target market. Not only do these numbers make YouTube that world’s most popular video marketing platform, but they also make YouTube the world’s second most popular website! Their daddy, Google, is first. Some customization of your channel. An unlimited number of uploads. No limits on video length. No limits of video view numbers. This is great for video marketers with a big budget and lots of video content to push out. You will have an easier time promoting your videos on YouTube with these three features. With the right budget, and some good keyword research, you can rapidly expand your views and brand message. The amateurs on YouTube put your expensive and well planned video on the same platform as someone’s random iPhone video of a party they threw up at. If your audience is a bit more sophisticated, YouTube may not be the place for your videos. Another issue related to this is the horrid YouTube comment section. Trolls, random hate, and pointless advertisement spam abounds. This relates to YouTube’s popularity again. With all those eyeballs looking, many marketers are looking to shortcut their video marketing for traditional ad based marketing. This leads to the problem of your YouTube account not really being free. You have to pay in ads interfering with the experience you and your viewers receive. Your competitors could even show up in ads right before your own video. This is due to keyword placement, prompting viewers to view their content instead of yours! YouTube Insights analytics give you a much more shallow view of your audience than Vimeo. It’s hard to really learn from it, and the interface is also a bit clunky. The average user will have a hard time doing anything with it as it takes time to learn what to do with their data. This article wasn’t meant to give you the definitive answer on which is better. Both YouTube and Vimeo have strengths and weaknesses. What your aim should be is finding out where your video marketing strengths lie, what you want to accomplish, and see how they match up with the well established audiences on YouTube and Vimeo. Those two videos perfectly illustrate what each video platform is all about. They establish this right from the moment you first visit their homepage! Matthew is the social media writer over on the Devumi Social Selling Blog. You can find him there every Wednesday and Friday. Read this review site to learn more about Devumi, or stop by the blog. The @Devumi Twitter account is there for you with the latest news all day long!